Click the button below to add the 1966 Ford Galaxie 500XL 3 Row All Aluminum Radiator Plus Shroud and Fans to your wish list. Champion Customers Courtney Upole, & James Beaulieu Testemony and video1Courtney Upole: Mavericks do not have a lot of room at all in the engine bay, and with a 302 shoved in there cranking out 12 second passes on the quarter mile and also being driven regularly on the street for joyrides, overheating has been an issue since day one. 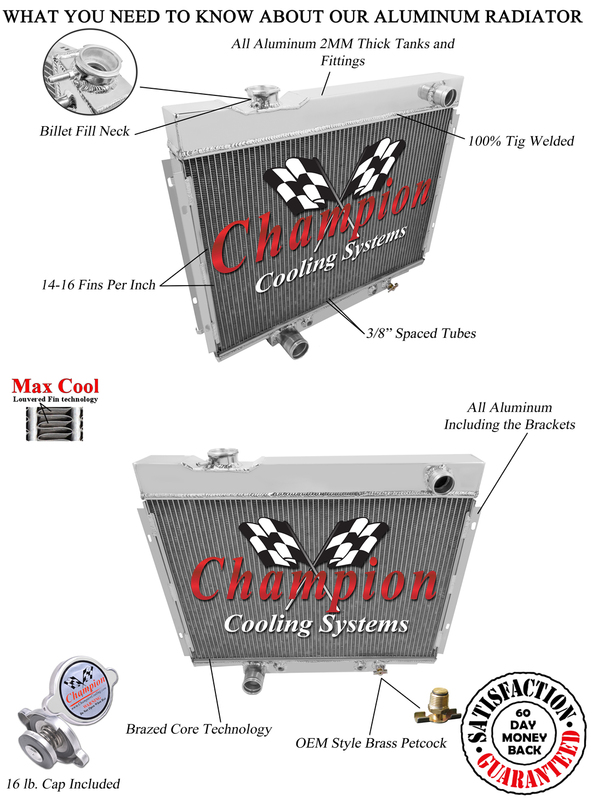 This season in an attempt to fix this problem, I installed a Champion Cooling radiator. Parts, especially new ones, are hard to find correct for a Maverick. However this product was not only easily available but also fit in perfectly without the need for major modification. 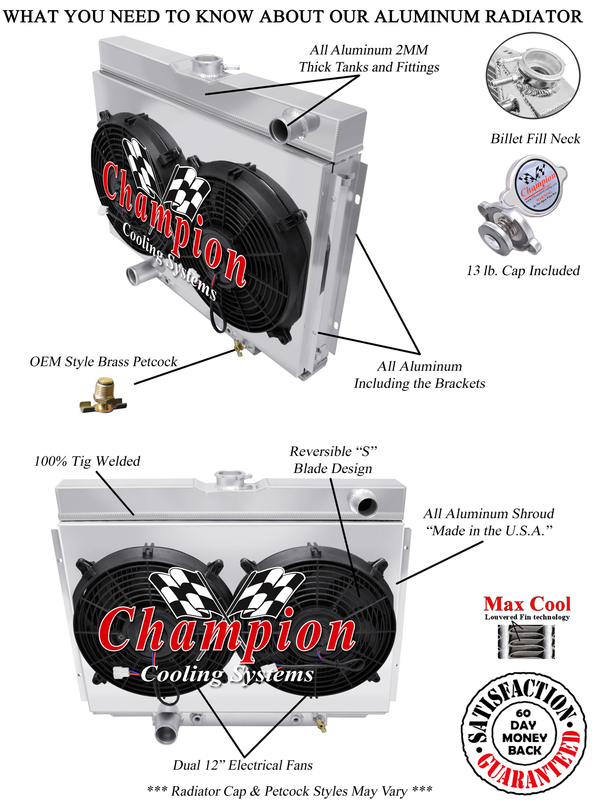 This product has been about the only thing that has kept the car running at reasonable temperatures and I am very pleased with the performance. Including All Aluminum Shroud & Dual 12 Inch Fans for 2600 total cfm! Will Cool Up To 750hp...Guaranteed! You will not find a better guarantee anywhere on eBay! Shroud & Fan is included in this auction! Lower outlet: 1 3/4" located on drivers side.